Office Moves - Kansas City, Independence, Lee's Summit | Pro Computer Solutions, Inc.
Are You Stressed Out Over The Thought Of Relocating Your Business? "How long will my business be shut down if I relocate or rewire my office?" Not so, with our dependable office cable management services. There's no need to panic, with office moving and network cabling services from Pro Computer Solutions that will have your Kansas City, Independence and Lee's Summit business up and running fast. Stress-free wiring services to eliminate the hassle of office moving. Flat office transfer rates, providing stability for your technology budget. 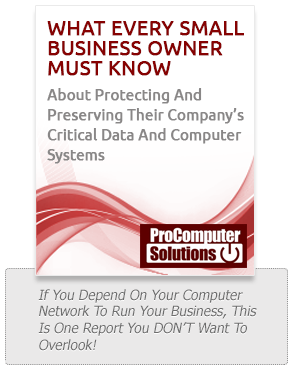 PCSi is the partner you can rely on to take the stress out of relocating your business and your technology. Serving Kansas City, Independence, Lee's Summit, Blue Springs, Overland Park, Raytown, Leawood, Olathe, Johnson County and Gladstone, our office cable management services are backed by an experienced team of professionals who can shoulder the burden of relocation. When you count on us for strategic office cable management, cable moves, cable adds and cable changes, office moving, technology relocation planning, office cabling services, communications & network cabling, or cable equipment/server racks, you know you are getting the very best in service and support. Our expert creation and installation of strategic cabling plans means you can depend on our solutions for the life of your business. Our office cabling services and office moving solutions are created with room to grow, so you know your IT infrastructure will be worry-free for years.